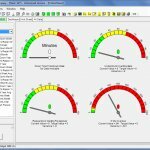 CMMS software package designed for maintenance managers by a maintenance manager. MaintSmart 5.0 CMMS software package has been released for SQL Server users and for Access users. 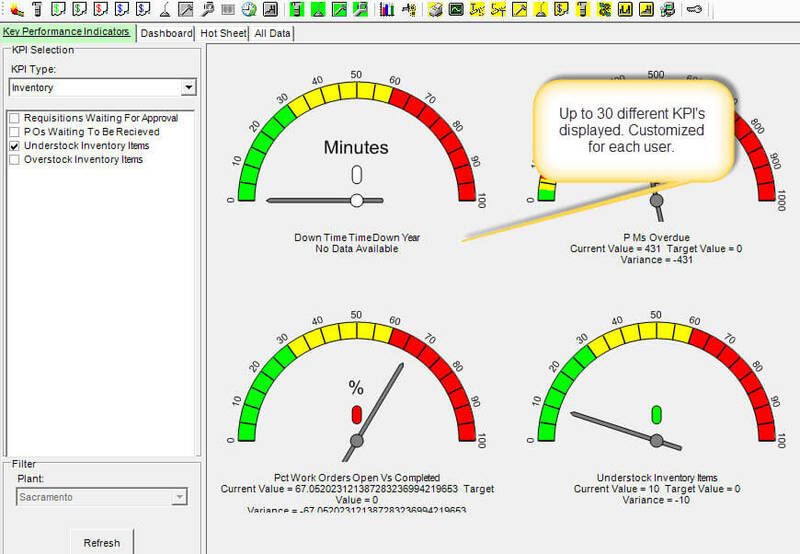 This upgrade is free to supported MaintSmart CMMS software users. This new CMMS package has many new maintenance management features requested by our users. Here is a summary of some of the new CMMS software package additions in version 5.0. Posts describing other additions to MaintSmart 5.0 are coming over the next few weeks. Download MaintSmart 5.0 trial version now! The event notifier is a configurable email notification system that is used for notifying users when certain events occur in the work order software module, purchasing or downtime software modules. Hot sheet completely redesigned. Complete KPI screen with gauges, drag and drop shopping cart style requisitions, requisition approvals and purchase order software system. New concurrent licensing system replaces old 'per-seat' licensing. PM plan capability provides completely flexible way to group preventive maintenance (PM) tasks based upon any arbitrary criteria. These may be scheduled the auto-printed. ABC inventory analysis guides maintenance manager to prioritize spares and inventory acquisition. Cycle counting audit capability provide an inventory software auditing method that spreads inventory audits over an entire fiscal period. Last Cost field added to inventory screen. Added 8 comment fields for printed PM task list reports. PM (preventive maintenance) list. This is similar to the safety and follow-up comments currently displayed on work orders. Barcode scan an equipment or technician label to pull up all pending work (work orders and PMs) or parts list. Create a downtime record from a work order or a work order from a downtime record. Create duplicate Lines (departments) across multiple Plants (locations). Multiple new text fields for work order response, follow-up and comments. Single Dymo labels for personnel, spares and equipment. Inventory change logging. Anytime spares are acquired, used or changed in any way a record logging the change is added to the CMMS software database. Many other enhancements will be listed in a subsequent posts. Several new inventory management enhancements have been included in this CMMS software upgrade. Print one label at a time using a Dymo Labelwriter 450 Turbo printer. This inexpensive printer may be obtained for less than $80.00. Printing single labels saves on time and money. Inventory Cycle-Counting provides a way to spread out your annual inventory audit over the entire year or other extended time period. The obvious benefit is that there is no need to stop operations to perform an extensive full audit all at once. 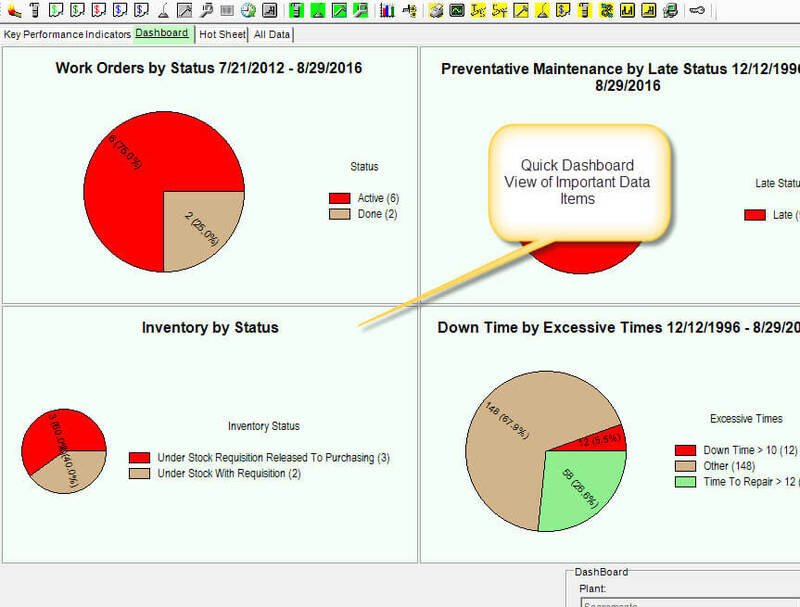 ABC analysis guide the maintenance manager to audit highest priority items first. The new hot sheet contains a user-defined KPI (key performance indicators) dashboard. List KPI's that are important to you. The CMMS software package saves your personal configuration so that it is always available. Below is a more detailed explanation of the new Hot Sheet including this KPI dashboard. User permissions are detected and only allow actions within the logged in user's scope of permissions. Approve requisition line items. In some case multiple signatures are needed. The Hot Sheet detects this appropriately. Release items to purchasing that have been approved.